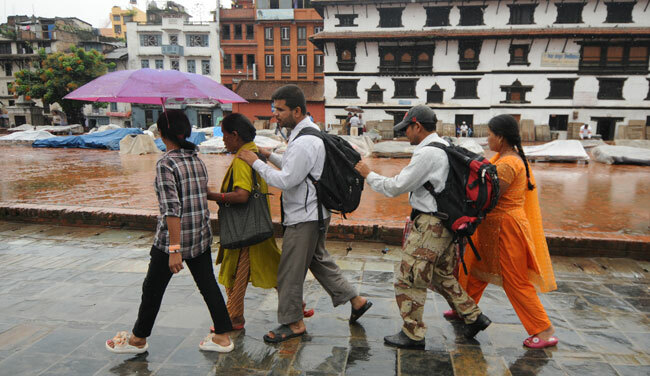 There is a stretch of footpath, around 50 m long, in Jorpati that was unveiled with much fanfare exactly three years ago on World Disability Day 2013. It was designed to be a visually-impaired as well as wheelchair friendly pavement; paid by the contributions collected by the area’s differently-abled community and built with an intention to serve as an example for the city. Top level government officials, celebrities like Hari Bansa Archarya and a crowd of at least a hundred people had cheered on as respective authorities talked about how well the pavement signified Kathmandu’s aspirations of becoming more accessible to differently-abled people. As a part of Khagendra New Life Home, the rehabilitation center for severe disabilities located on the opposite side of the model pavement, Gyanendra Adhikari, 46, recalls having clapped with much enthusiasm at the end of every speech. He couldn’t have agreed more. Being a wheel chair bound employee at the center, he was more than happy to welcome the much needed, inclusive development in the community. The best part, he adds, was that the crowd seemed to be equally motivated. But as it is evident to any resident of the area now, in the last three years the narrative has taken a sharp u-turn. Working and living at the rehabilitation center, Adhikari witnessed it all first hand. With each passing day, the model pavement that was reserved for differently-abled individuals like him and his peers transformed more and more into the neighborhood’s local market and parking area. So much so, today, one would find it difficult to distinguish the special pavement from the rest of the road. It’s constantly packed with vegetable hawkers, tea stands, and vehicles like mini vans and cars. Amid such public indifference and absence of proper action, Nandita Archarya, 24, wants to make everybody understand that for her, issues of our capital being one of the most disability- unfriendly cities isn’t only a talking point. Ever since an accident left her bound to a wheelchair, it’s a reality she has been facing every single day especially on her way to and back from work. “I have to flag at least 30-40 microbuses every single time I want to go somewhere. Even then, if one stops by for me, I consider myself lucky. I have had to go looking around for traffic police officers many times to help me convince a bus driver to let me in,” shares Acharya. Since she wants to be an active member of the society, she forces herself to continue going out and about. But apparently she knows many differently-abled who choose to limit their existence to the convenience of their home and, after her horrid experiences while commuting in the city, even she has stopped judging them. In fact, Adhikari happens to be one of them. He consciously chose to work and live in the Khagendra New Life Home rehabilitation center because it drastically reduced the challenges he had to face on a daily basis. It didn’t matter that he had successfully held a job as one of the counselors for more than two decades or that he had raised a family of his own, when he went out on the streets of Kathmandu, he is rendered helpless. Such are the circumstances. It isn’t only about individuals in wheel chairs either, anybody with any kind of disability finds it impossible to navigate their way around our city. And the problems only just begin with the mobility issues. Our city tends to have a tremendous negative impact on the quality of their life in innumerable way. 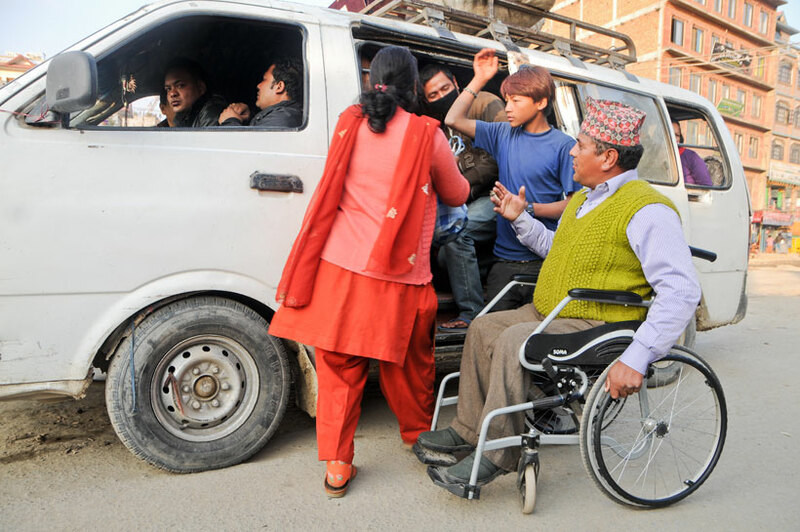 Gajendra Budathoki, Kathmandu based journalist and member of High Level Committee for Disabled People talks about a young acquaintance who was wheelchair bound like him. Since the kid’s hometown didn’t have any disabled-friendly colleges, he had recently decided to pursue his education in Kathmandu. While Budathoki was eager to help him, to his utter surprise, he discovered that out of all the 22 plus two colleges in the capital, none of them had the required facilities. Budathoki also shares of the embarrassing instances when he has had to be carried like “a sack of rice” while visiting community hospitals. The fact that people with disability can’t count on easy accessibility at hospitals of all places has become distressing indeed. So places where they do get their fair share of conveniences, the effect is immediate and very significant. Adhikari, for one, was apparently encouraged to invest in shares because he discovered that the NIDC office was very accommodating. Even though getting there was a challenge, once there, he could handle his business on his own. This sense of independence is what the people with disability feel is being robbed from them. It’s a concept that he believes has not caught up in our society. What’s more, he shares that there have been times when he has caught this type of ignorance among the representative bodies of the government as well. Adhikari points out that most of the government offices too are disabled- unfriendly buildings. 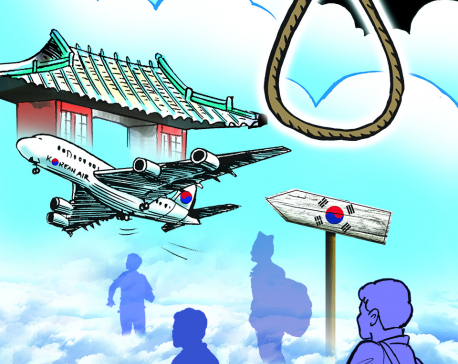 So at times when they have to visit various ministries for the rehabilitation center’s scholar projects or health aid grants, they are not able to go up to the director’s office for a meeting. 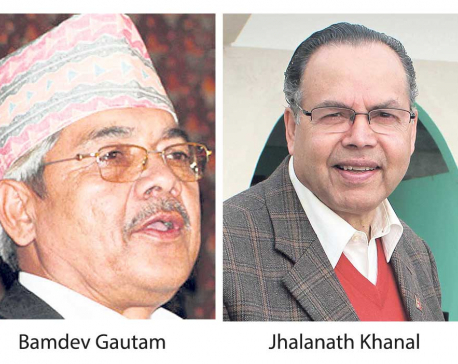 Now while there are times when the authority figures choose to come down and meet up with Adhikari and his colleagues, there have apparently also been many instances when they have had to return because they were ushered away. When the security feeds them excuses about the director not being at their office, they are compelled to take it at face value. He doubts this would have been the case if they were considerate enough to provide accessibility to the offices. Still, as is the case every year, rallies and speeches are being prepared in anticipation for tomorrow, December 3, World Disability Day. The issues of the differently-abled will undoubtedly be raised yet again as well. But putting the rhetoric aside, considering the situation, perhaps the first step should be to recognize these real hopes, dreams and frustrations of those living with disability.